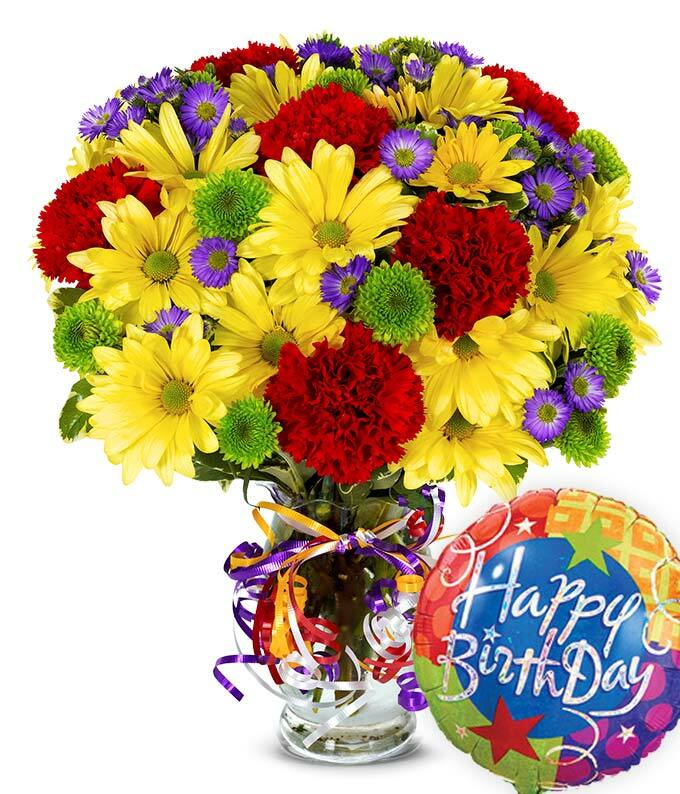 Make all their birthday wishes come true with this beautiful bouquet of red carnations, yellow daisies, purple Monte Casino blooms and green button poms. Hand arranged and delivered by one of our local florist in a clear fluted vase with a colorful curly ribbon and a birthday mylar balloon. Measures 14"H by 11"L.